Blastoff of Cygnus atop a United Launch Alliance (ULA) Atlas V rocket on the OA-4 resupply mission under contract to NASA is anticipated on December 3, 2015 from Space Launch Complex 41 at Cape Canaveral Air Force Station in Florida at approximately 5:55 pm. ET. The cylindrically shaped Cygnus, manufactured by Orbital ATK, was on display for the press inside the KSC clean room with both halves of the 14 foot (4 meter) wide Atlas rocket aluminum payload fairing, within which it will be encapsulated on Monday, Nov, 16, as technicians and engineers were actively at work conducting final close out operations and inspections in the Payload Hazardous Servicing Facility (PHSF). Technicians had already fueled Cygnus with the toxic propellants hydrazine and nitrogen tetroxide which it will use to maneuver to the ISS. The OA-4 mission marks the ‘Return to Flight’ for Cygnus and the first American based resupply mission to the International Space Station (ISS) since the twin launch failures of the last two resupply missions by both of NASA’s commercial cargo providers – Orbital ATK and SpaceX in the past year. “This is an exciting time; the Cygnus launch will resume regular U.S.-based cargo missions to the station,” Randy Gordon, Launch Support Project manager for NASA, said during a media briefing. The launch failures of the Orbital ATK Antares Orb-3 on Oct. 28, 2014 and SpaceX Falcon 9 Dragon on June 28, 2015 forced a cargo resupply launch hiatus until the root causes of the mishaps are fully resolved. “So we are trying to get some US specific items, that were critically lost on both flights, back up to the station with this flight now,” Dan Tani, a former astronaut who is now Orbital ATK’s vice president for Mission and Cargo Operations, told Universe Today at the media briefing. In order to get the Cygnus logistics spacecraft back into service for NASA as quickly as possible, Orbital switched rockets and the vessel will be carried to orbit for the first time by the ULA Atlas V rocket. “The biggest impact on the crew since the Orb-3 and Dragon CRS-7 failures are some specific items like filters and cartridges. It’s not what you might think of – food, water and oxygen. That can come from other partners like the Russians and Japanese,” Tani explained to me. The encased Cygnus spacecraft will be transported to the Cape Canaveral launch pad later this week for mating atop the Atlas V rocket, which is now being assembled for flight. 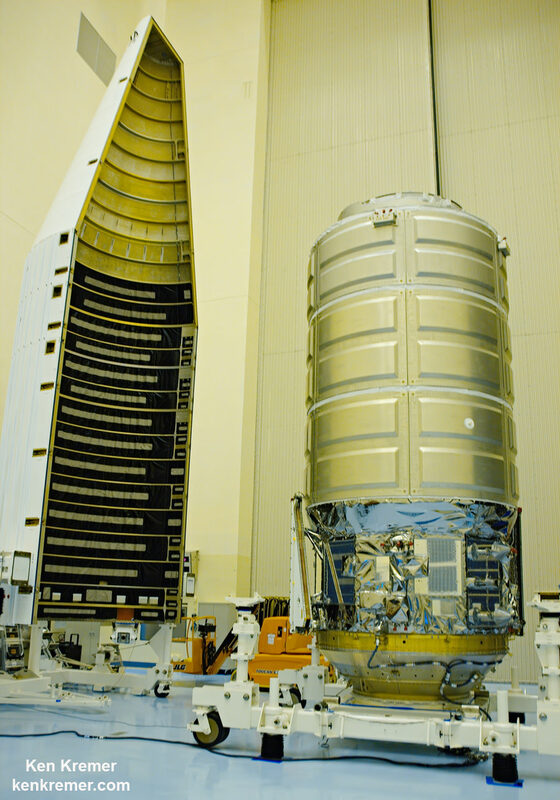 OA-4 counts as the first flight of Cygnus on an Atlas and the first launch to the ISS using an Atlas booster. This is the first flight of the enhanced, longer Cygnus, measuring 5.1 meters (20.5 feet) tall and 3.05 meters (10 feet) in diameter, sporting a payload volume of 27 cubic meters. 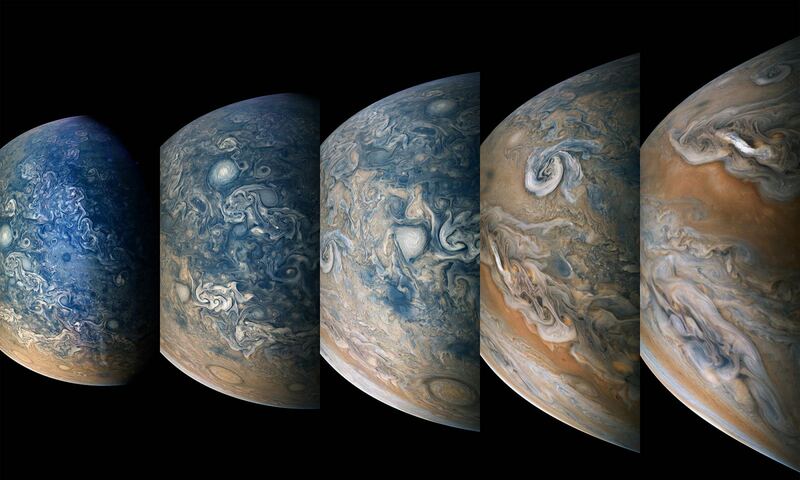 “Since all of the experiment racks and facilities are already on board the station, we are primarily flying a lot of new samples and cartridges, to replenish those kinds of things, in addition to several new experiment packages,” Tani told me. The OA-4 hardware and supplies will support dozens of the approximately 250 science and research investigations being conducted by Expedition 45 and 46, including the first ever ‘1 Year ISS Crew’ composed of NASA astronaut Scott Kelly and Russian cosmonaut Mikhail Kornienko. “With the increased payload capability of the enhanced Cygnus and greater lift capability of the Atlas V we can accomplish the contracted delivery in seven missions instead of the originally planned eight,” Tani explained. “Both launches on Atlas will carry over 3500 kg of cargo.” Tani stated. Watch for my continuing reports as I plan to be onsite at the Kennedy Space Center press site for the OA-4 liftoff on Dec. 3. Alan Shepard walked on the moon on Apollo 14, not Deke Slayton. Slayton was chief of the astronaut office at the time. Previous PostPrevious Who was Albert Einstein?